One of the biggest reasons Pebble was a damn fine smartwatch was its entirely reasonable price. Back in December, the Kickstarter success story sold off its assets to Fitbit and was promptly shut down. Today, we learned how much it was sold for, and it seems those low, low prices continued into its demise. Business Insider reports that Fitbit paid $23 million for Pebble, almost half of previous estimates. That is an absurdly low price when you consider how much money Pebble has raised over the years and its fluctuating valuations. Back when the Pebble was just a glimmer in the eye of founder Eric Migicovsky, it gained widespread attention by shattering crowdfunding records on Kickstarter. Its first campaign blew past its $100,000 goal and raised over $10 million. For its second generation campaign it doubled that with a cool $20 million. 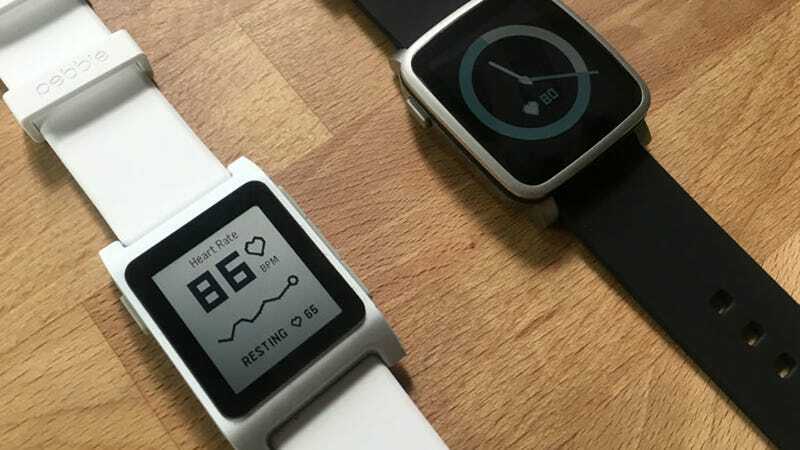 Just that combined cash is more than Fitbit had to pay for ownership but consider that watch maker Citizen reportedly offered $740 million to purchase Pebble back in 2015 and this price tag is absolutely painful to contemplate. About a year later the same company allegedly offered $70 million. Most of the time, it’s hard to feel much sympathy for hubristic startups that overestimate their future value but Pebble was one of the good guys. They tried to stay independent and offer a good product that people were obviously willing to fund. The product worked and didn’t try to be too flashy. Unfortunately, a rapidly growing market just doesn’t seem to be there. The business of tech is a game of winners and losers. But Fitbit’s acquisition of Migicovsky’s baby appears to be a case of a loser purchasing a loser in an effort to become... a winner? The company’s stock was down 73 percent in 2016. And with its other purchase of Vector Watch for $15 million, it seems that the strategy is just to scramble around, gobbling up market share in a stalled market. As of today, Fitbit’s stock is valued at $5.97 a share—a far cry from its high of over $50 a share. Sixty percent of Pebble’s employees were laid off, all of them lost their stock options and customers who are still loyal to their purchase will likely find themselves wearing a not particularly useful bracelet by 2018. The fact is smartwatches will exist in one form or another because stuffing tech into tried and true products is just the way things work now. But no one, not even Apple, has figured out the perfect recipe for success yet.